If you are a truck driver and have been injured on the job, you may be entitled to Missouri workers comp benefits. The trucking industry in America is often considered the lifeline of the economy. Statistically, according to The American Trucking Association, 100% of consumer goods and 70% of freight tonnage is transported nationally as well as domestically over roads. Considering these huge numbers it can be said that truckers have a strenuous job that entails exposure to a number of work-related hazards that increase the risk of on-the-job injuries. According to the Federal Motor Carrier Safety Administration (FMCSA), there are around 17 fatalities and 7 non-fatal work-related injuries per 100,000 workers in transportation, warehousing, and utility sectors. In this post, our St. Louis workers comp attorney will discuss the common risks that truckers face. 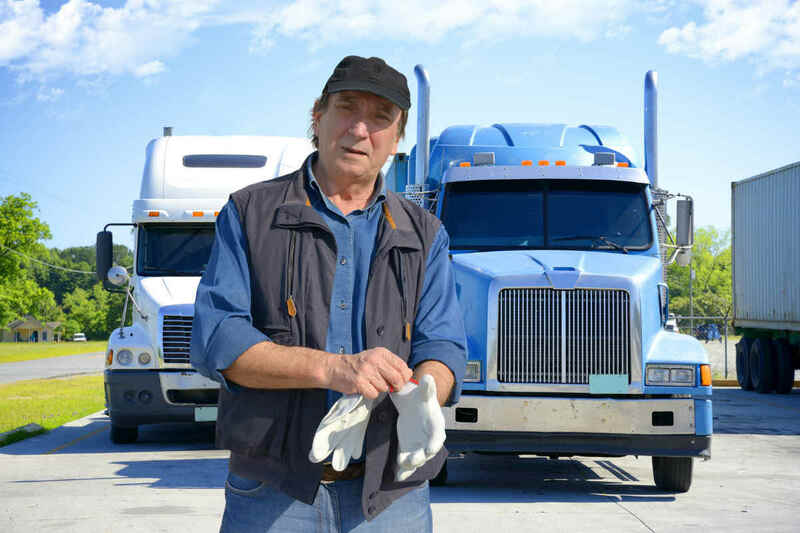 The Bureau of Labor Statistics (BLS) notes that truckers who drive heavy tractor-trailers face the highest rate of illnesses and injuries among all occupations. While the most common are on-road accidents, there are many other hazards that are divided into broad categories. On-road accidents among truckers usually caused due to an overworked trucker’s sleep deprivation, driver errors, mechanical failures, or bad roads. These cause the majority of fatalities in the trucking industry. Fatalities can be caused in a single vehicle accident, or multiple vehicle accidents. The force of the impact might not always be fatal, however, the impact can cause the truck to swerve and hit, roll down an embankment, and catch fire. Even those trucks parked on the side for repairs could get hit by another smaller vehicle. Musculoskeletal disorders often lead to most of the illness and injuries that are caused due to repetitive stress caused by sitting and driving. Truckers involved in loading and unloading of heavy cargo, moving pellets, dollies or handling heavy truck equipment like changing tires can cause injuries leading to musculoskeletal disorders. Falls can take place from an elevated place, or can occur while on the same level. While falls at the same level (usually slips due to bad weather conditions or poor lighting) are less common than those from an elevated place (falls occurring due from the high truck bed, while using stairs while making upper-floor deliveries, exiting the cab of the truck, at unloading zones, etc. ), they can cause serious injuries to the back, spine, leg, or hand. Truckers working with heavy loads face the risk of getting struck, pinned against or getting crushed under these heavy objects while handling loading and unloading. Falling or rolling heavy truck-related equipment like pallets, boxes, malfunctioning lift gates, etc. can all pose a risk of injury. All truck drivers are well aware of the on-the-job risks they face. However, they should also be aware that they may also be entitled to workers compensation benefits and should contact a St. Louis work injury lawyer to understand their rights if they have been injured. Call (314) 361-4300 today to schedule a free consultation with experienced Missouri workers comp attorney James M. Hoffmann.